Dr. Khan has the honor of being the first MD in the Richmond/ Tri-city area to do the Minimally Invasive Laminotomy decompression. 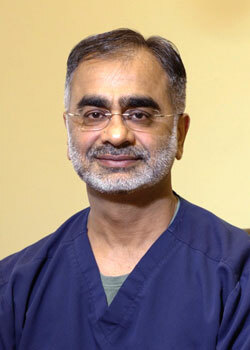 Dr. Khan was the first Physician in tri-city area who was fellowship trained and board certified in pain medicine. Dr. Khan has expertise in dealing with all Neuro-Musculo-Skeletal problems. Dr. Khan's special interests are Interventional spine and pain procedures to take care of debilitating and painful conditions.